This topic describes how to configure OneLogin to provide SSO for GitHub.com using SAML. If you want to set up SSO for GitHub with form-based authentication, see Adding a Form-Based Application. Note: SAML SSO on GitHub.com does not automatically log users into their personal accounts. It primarily serves to grant and maintain access to those SAML-protected organizations that they're a member of. This means that users will be prompted for their GitHub password during the authentication process even though SAML is enabled. Search for GitHub.com and select it. The initial Configuration tab appears. You can use it to change the app display name and icons. Go to the Configuration tab and enter your GitHub Organization. Enter only the organization name. For example, acme in https://github.com/acme. 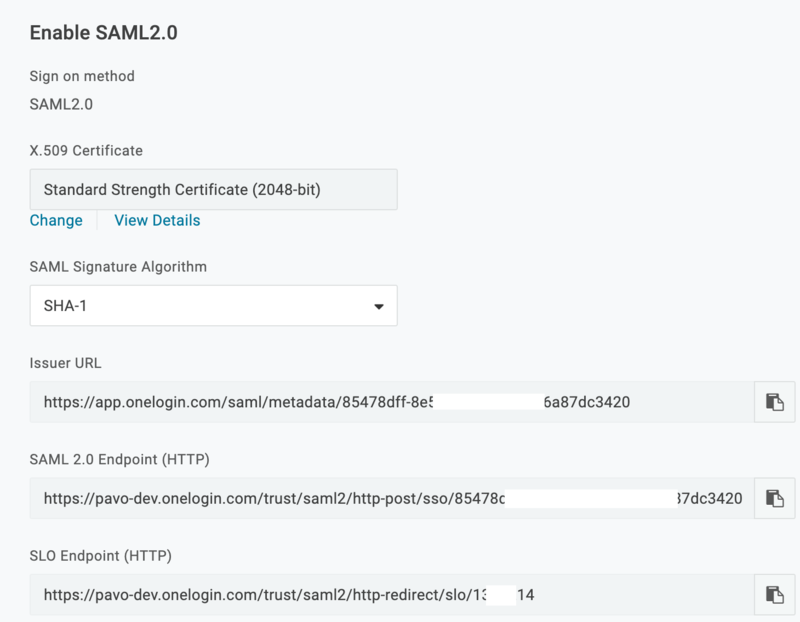 This value tells OneLogin where to send the SAML message in GitHub. In most cases, you should keep the Configured by admin default credential option. For more information, see Setting Credential Configuration Options. NameID is set to Email. In other words, OneLogin sends the user's OneLogin email address as the NameID in the SAML assertion, and for SAML SSO to work, the OneLogin email address must be identical to an email address associated with the GitHub account. SCIM Username is used for provisioning, not for SAML SSO. See Provisioning Users to GitHub. If for any reason you need to change the OneLogin value, click the parameter row to open the Edit Field dialog, and select the value from the drop-down list. Go to the SSO tab to view the SAML settings that you'll need to provide to GitHub. In another tab, enable SAML in GitHub.com. GitHub can change their interface at any time. For up-to-date instructions, see the Github.com help. 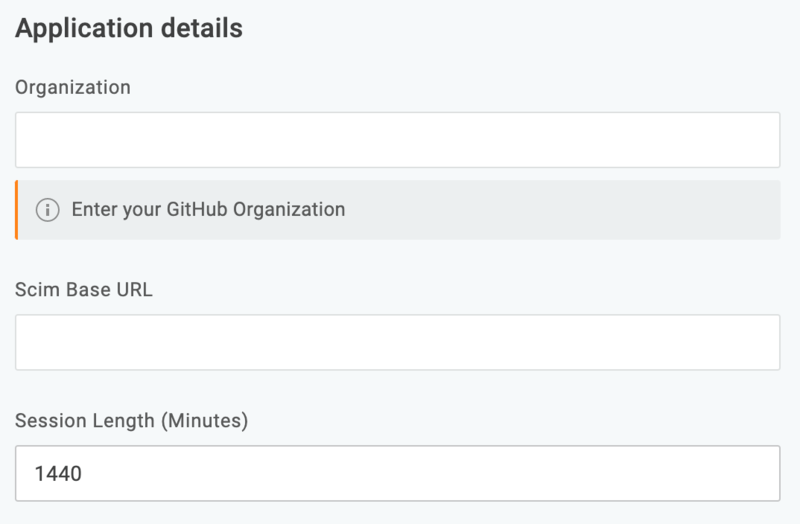 Log in to GitHub as an administrator for your organization. Click your profile photo and select Your profile from the menu. On the left side of your profile page, under Organizations, click your organization icon. In the settings sidebar, click Security. Under SAML single sign-on, select Enable SAML authentication. If you want a different certificate, click Change on the SSO tab, select the new certificate, and follow the above instructions. Paste the entire certficate in the Public certificate field, including -----BEGIN CERTIFICATE----- and -----END CERTIFICATE------. Click the edit icon and choose the hashing algorithm you selected on the OneLogin SSO tab (SHA-1 by default). Click the Test SAML configuration button and confirm that the test passes. (Optional) Select Require SAML SSO authentication for all members of the organization name organization. See the GitHub.com documentation for important information about the implications of this setting. In OneLogin, go to the Access tab to assign the OneLogin roles that should have access to GitHub and provide any app security policy that you want to apply to GitHub. Note. You may want to give access to yourself or a test user account and test your completed OneLogin SAML integration with GitHub.com before you assign roles on this tab. See step 10, below. Ensure that you have matching user accounts in GitHub and OneLogin (the OneLogin email address is identical to the primary email address associated with the GitHub account). Make sure you are logged out of GitHub. Click the GitHub icon on the OneLogin dashboard. The user will be taken to the organization sign in page with their username pre-populated. The will need to enter their GitHub password to complete authentication.